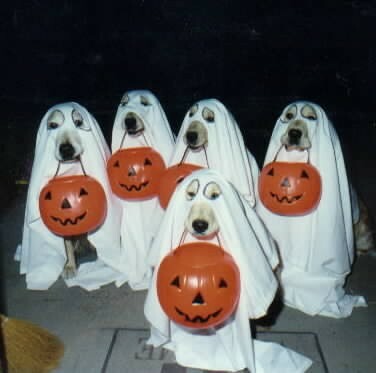 Nothing says Happy Halloween quite like a troop of spooky ghost dogs. But please remember that whilst you’re out trying to scare your friends tonight, no one cares about how you got those fake scars, that tracksuit and cigar are only confirming our fears, and come the morning, scrubbing off all of that fake blood will be an absolute Nightmare. Have fun kids!